People who want to make the move from renting to owning their own home are invited to a free information session sponsored by the Braddock Economic Development Corp. and Mon Valley Initiative. 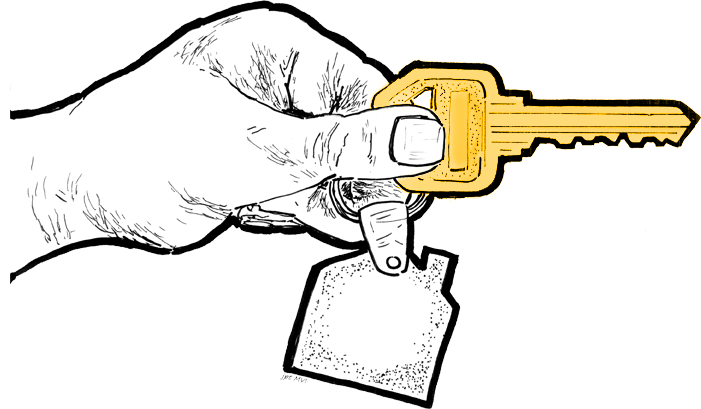 “Buying Your Own Home: You Hold the Key” will be held at 6:30 p.m. April 5 at The Overlook, 416A Overlook Way in Braddock, on the old UPMC Braddock Hospital site between Braddock Avenue and Holland Avenue. Parking is available on Maple Way. Jonathan Weaver, a housing counselor with Mon Valley Initiative, will talk about the steps that first-time homebuyers should consider before they start house-hunting, including creating a savings account, repairing their credit and budgeting for a down payment. He’ll also answer questions about applying for a mortgage and explain what “closing costs” and other real estate terms mean. Weaver also will answer questions about programs designed to encourage homeownership in Braddock and the surrounding boroughs. The event is supported in part by Dollar Bank, PNC Bank and WesBanco. Light refreshments will be served, but attendees are encouraged to register in advance by calling 412-464-4000, extension 4008, or emailing jweaver@monvalleyinitiative.com.